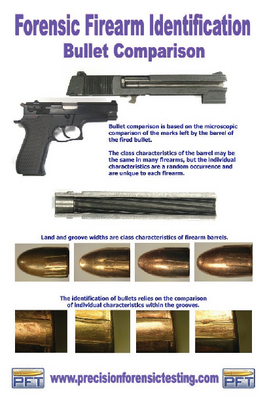 Focusing on bullet comparison and the marks associated with the comparisons, this poster outlines how to identify firearms involved in crimes from looking at the bullets fired. It also demonstrates some of the different class characteristics of bullets. Size: 24" x 36".